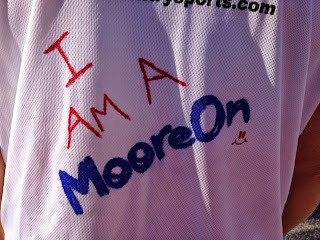 Moore On Running: Krispy Kreme Donut Run - Team Moore Ons Running! Krispy Kreme Donut Run - Team Moore Ons Running! The last time I ate seven donuts at one time was over four years ago - and that was a light breakfast! 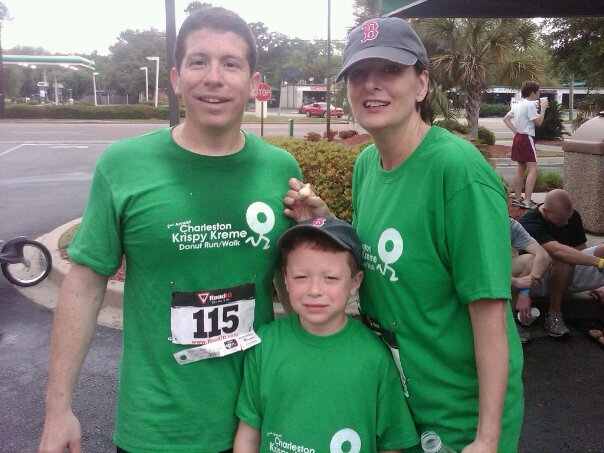 Its not everyday that you plan a run around eating a bunch of donuts, but the Krispy Kreme Donut Run is not an everyday race. 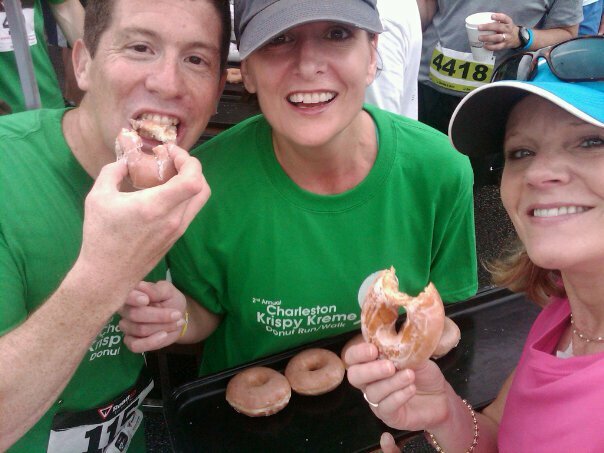 Participants of the race have to run one and a half miles to the Krispy Kreme store, eat a dozen donuts and then run back one and a half miles to the finish line. 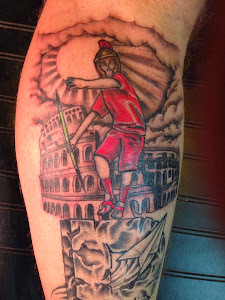 The challenge is to do it under one hour. 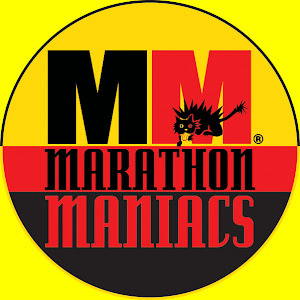 The Charleston version is a copy of the long running race in Raleigh, NC. Now in its second year, the Charleston race had over 300 runners and walkers. 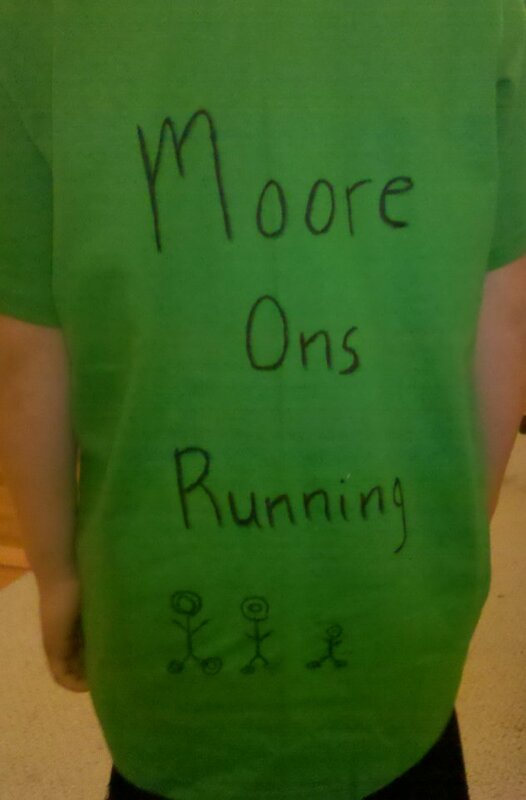 My family ran as team "Moore Ons Running"! That meant we would get a chance to run together and we could split the donuts between all three of us. The shirts for the race were really ugly! So we decided to wear them, but draw our team name on the backs. When I woke up Saturday morning, Jen was already writing our team name on our shirts and had Peyton drawing stick figures (with donut heads) of our family. She even had our race numbers on the shirts. It was really fun for me to see her and Peyton so into doing this race. We headed to the race on empty stomachs (we were going to eat donuts)... Before we made it there, a storm rolled in and it poured. All I could see was us running down a muddy trail and eating soggy donuts! But the weather broke and it cleared up for the race. We met my friend Cathy and here team (her twelve year old son and his friend Noah). They looked like they were ready to eat some donuts (but it was funny to see them running in their skateboard shoes). 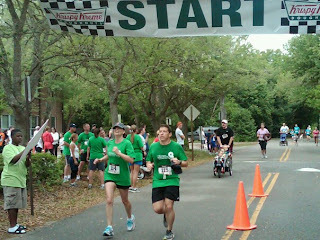 The race started at an elementary school, went down the Charleston Greenway (a trail that people use to walk, ride and run) and ended at Krispy Kreme Donuts. Peyton ran strong and did not even slow down for the first mile and a quarter. We all made it to the donuts, found our team tray and looked for water (not the best organization for water, but we found it). Jen was holding the tray and not eating much (now, for the past week she had been talking smack about how she was going to eat the most). Peyton went to work and ate four donuts!!! I ate seven!!! That's right, that only leaves one donut (that would be Jen's). 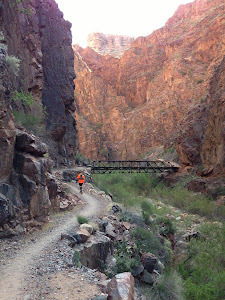 So with Donuts eaten and stomachs screaming, we headed back to the finish line. Peyton went out strong, but started to lose steam. 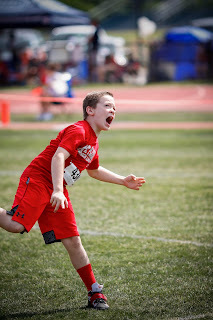 Jen ran ahead of us for a while until Peyton saw some track kids and decided he did not want them to beat him. 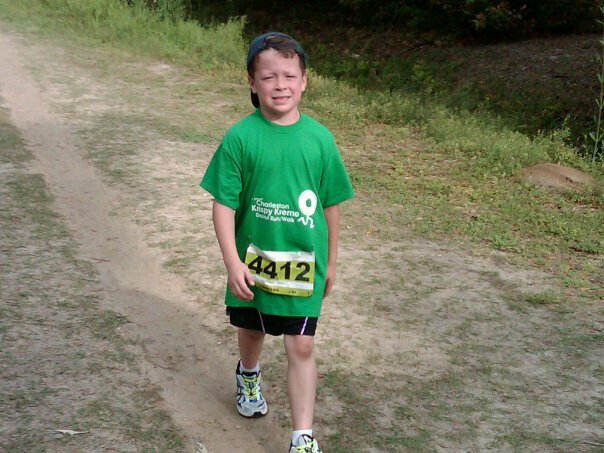 He sprinted to the finish and Jen and I ran through together. Of course we checked our time and saw that we had made it in thirty six minutes - we beat the challenge! I wonder if I can count this as a PR??? I had a great time running this race with my family. The concept of eating donuts during a run does not really fit in with my new healthy lifestyle beliefs, but it sure was fun!